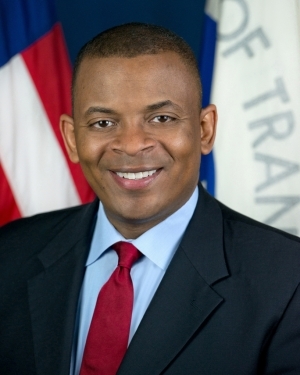 In the midst of last-minute congressional efforts to avoid a shortfall in the Highway Trust Fund, Foxx will speak about the need for long-term transportation investment, arguing that the ongoing lack of certainty and stability poses an even greater threat to the country’s ability to grow. Foxx is a former mayor of Charlotte, North Carolina, who became transportation secretary last year. Lunch will be served at 12:30 p.m., with remarks beginning at 1 p.m., followed by a question-and-answer session ending at 2 p.m.
Tickets cost $22 for Club members, who may purchase 2 tickets at this rate, and $36 for all other non-member tickets. Tickets may be purchased online. For questions, please email reservations@press.org or call (202) 662–7501. Tickets must be paid for at the time of purchase. Club Members who wish to attend the pre-luncheon reception must RSVP separately to VIPreception@press.org no later than 48 hours before the event. Space may be limited. You must have a paid reservation to the luncheon to attend the VIP reception. Submit a question in advance to president@press.org before 10 a.m. on the day of the luncheon. Put FOXX in the subject line.